Disappearing waterfall cleaning in Johns creek GA.
Spring is just around the corner here in the North Atlanta suburbs of Atlanta and before you know it you will be outside enjoying the weather and your beautiful disappearing waterfall again. 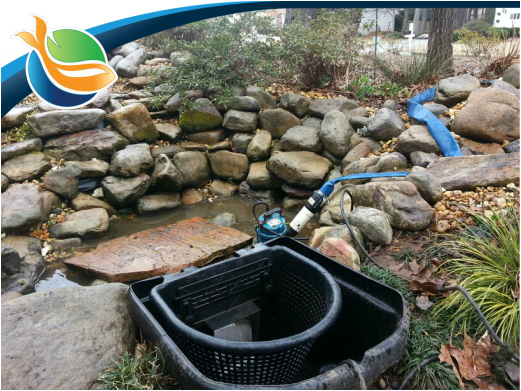 This brings us to the topic of preparing your water feature for Spring and the upcoming season. We recommend that your pondless waterfall receive a full professional cleaning at least once, on occasion twice per year to help maintain beauty and function. 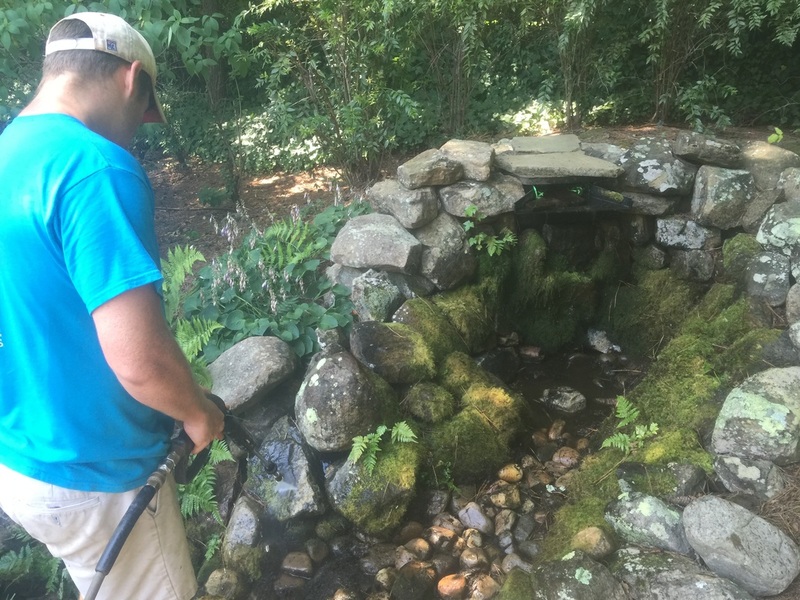 Having your waterfall cleaned annually reduces your regular maintenance, reduces the likelihood of algae issues and equipment problems this upcoming season. ​Sign up today by filling out the form below. What happens during a waterfall cleaning? We will drain the water from the underground basin and flush it out. 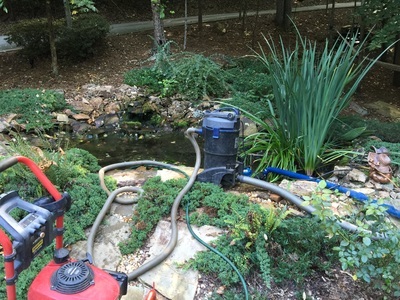 The next step is to give the water feature a pressure washing. Once washed down we will trim back plants, re-adjust rocks & gravel and give it good vacuum. 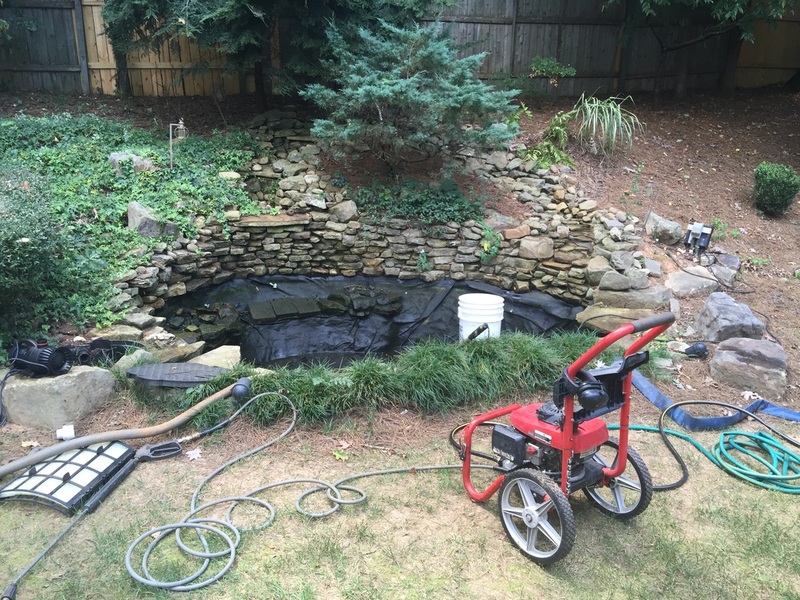 Finally, check out and reinstall the waterfall pump. 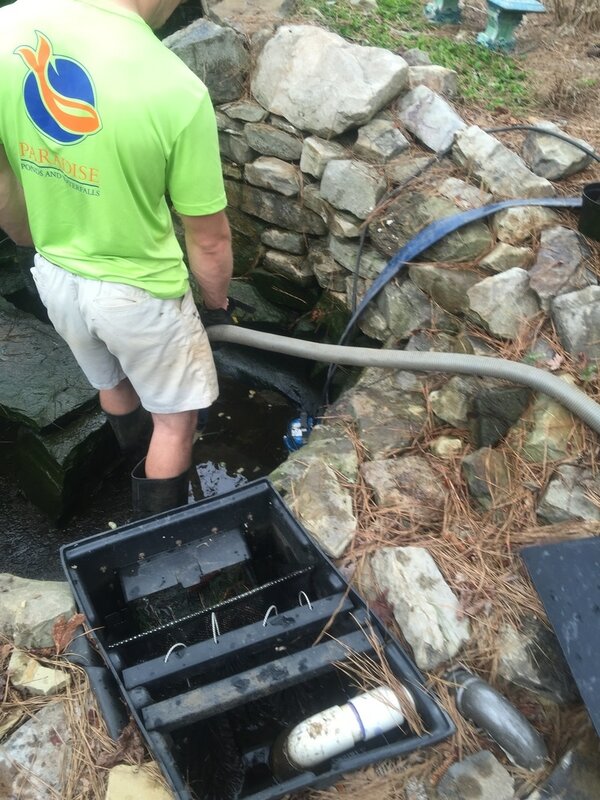 When all of this is finished, we will begin refilling the water feature. This is a great time to have any underwater lights replaced that are not working in your waterfall while the backyard feature is drained. We offer long lasting LED underwater lights for your pond, stream and waterfalls. 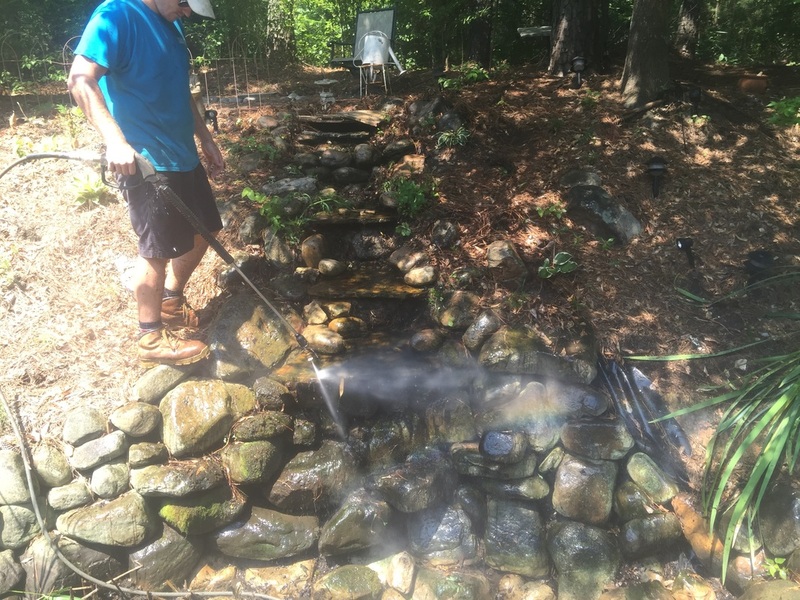 Disappearing Waterfall Cleaning Sign Up - Let's get you onto the schedule this Spring! Yes No (If no, please upload a couple pictures of your pond).